Wilmington and the Brandywine Valley offer a variety of options for fun without breaking the bank. From scenic nature walks, to ever-changing art exhibitions, to themed summer festivals, there’s truly something to appeal to every member of the family ... with no additional charge. Visitors can make the most out of their time -- and their budgets – while experiencing and exploring Greater Wilmington. The DUPONT ENVIRONMENTAL EDUCATION CENTER (DEEC) is a wildlife escape where the city, river and marsh meet. The DEEC features a 10-acre garden park with flower garden path, a quarter-mile pond loop through a freshwater marsh and a four-story education center with panoramic views. Free tip: Staff-led binocular walks and animal encounters take place Tuesday through Sunday. BOMBAY HOOK NATIONAL WILDLIFE REFUGE is a 15,978-acre National Wildlife Refuge located along the eastern coast of Kent County, Delaware, on the Delaware Bay. The refuge’s diversity of habitats and wildlife are must-sees for families visiting the area. A 12-mile wildlife drive, five walking trails, three observation towers, picture-perfect wildlife photography opportunities, nature and educational programs, and interpretive displays make Bombay Hook National Wildlife Refuge the perfect destination for wildlife admirers. The visitor center is open weekdays from 8 a.m. to 4 p.m. throughout the year, and the wildlife drive is open from half an hour before sunrise to half an hour after sunset daily. DELAWARE STATE PARK CONCERT SERIES offers deeply diverse music offerings in a series over free concerts over the summer months. Pack a picnic basket and enjoy the natural beauty of the Delaware State Parks while listening to bluegrass and blues, big band and the Beatles (and that’s just at the start of the alphabet). Note: The concerts are free, but there are still nominal park entrance fees in effect. THE DELAWARE CONTEMPORARY, a non-collecting contemporary art museum, mounts 30 changing exhibitions each year. The exhibits feature works of regional and national artists in seven galleries, ensuring that visitors encounter something new with each visit. The museum is open Tuesday through Sunday. 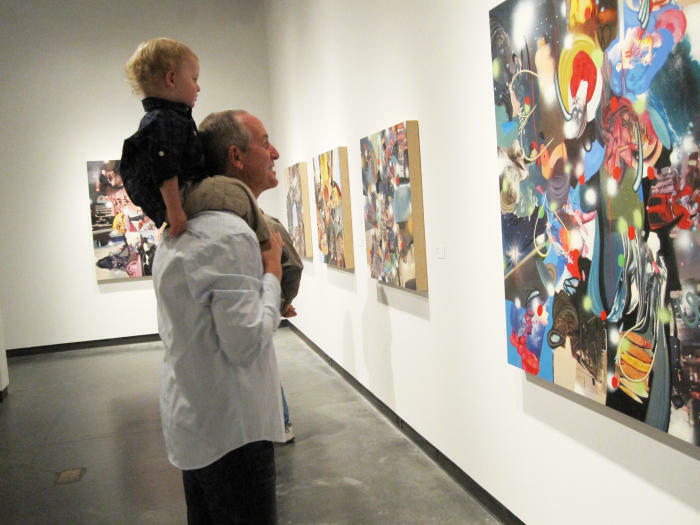 ART LOOP WILMINGTON, on the first Friday of each month, has museums, studios and art galleries throughout Wilmington and the surrounding area stay open late for a night of opening receptions and art exhibitions. Many of the exhibit spaces offer free live entertainment to enhance the experience. Visitors to FIRST STATE NATIONAL HISTORICAL PARK and Historic New Castle can take in the abundance of colonial history while walking cobblestone streets. Not to be missed, the NEW CASTLE COURT HOUSE MUSEUM was built in 1732 and served as Delaware’s first court and state capitol. Guided tours and exhibitions at the museum highlight Delaware&apos;s courts and Assembly, social, cultural, archaeological and Underground Railroad history. On display are period portraits, furniture, artifacts and decorative arts. The museum is open to the public Tuesday through Sunday. The MEZZANINE GALLERY, located in the Carvel State Office Building in Downtown Wilmington, features one-person exhibitions of Delaware artists in disciplines including painting, photography, sculpture, crafts, folk, and media arts. The annual HOLY TRINITY GREEK FESTIVAL transports visitors to the Old Country with authentic Greek food, music and dance. The festival preserves Greek heritage while celebrating and sharing the Greek culture with the local community. The festival takes place annually in early June. The DUPONT CLIFFORD BROWN JAZZ FESTIVAL is a celebration of the brilliant trumpet player, unforgettable composer and dynamic entertainer whose name and legacy is celebrated each June with live music and events in Rodney Square. Each year in mid-July, the LADYBUG MUSIC FESTIVAL celebrates women in music. Created in 2012, the festival features women performers as part of a live music block party taking place in the 2nd and Loma neighborhood in downtown Wilmington. The festival continues to grow year after year, with approximately 10,000 people attending in 2018. One day each holiday season, the historic towns of Odessa and New Castle open their doors to reveal lavishly decorated private homes and historic churches, during HOLIDAYS IN ODESSA and THE SPIRIT OF CHRISTMAS. One Saturday each December the Colonial town of New Castle gets a little Victorian with THE DICKENS EXPERIENCE as costumes characters roam the decorated streets and carolers sing holiday favorites. Even if you&apos;re on a budget, your next getaway can be affordable in Wilmington and the Brandywine Valley. Start planning a visit today with our free VISITORS GUIDE.